What Does It Mean to be Vested in My 401(k)? Knowing where you stand with your employer-sponsored retirement plan is important for planning your future and your next career move. Learn why not all interest types are created equal and what to look for when you’re the borrower and when you’re the investor. 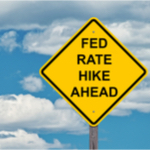 Read why the news makes a big deal about the Fed raising or lowering rates and how it affects you.